Boxycharm released their first spoiler for the November 2015 "ParTEA" box! It's shaping up to be pretty high value, I must say! The first spoiler is worth more than the cost of the box (double the cost if you don't count the sale price) and it's a good one!! 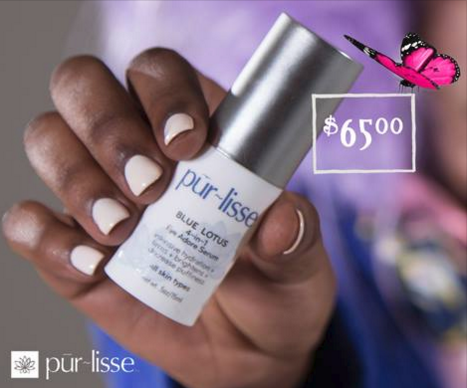 purlisse Pur~eye adore Quadra Benefit Eye Serum- An all-around eye serum to combat wrinkles, puffiness and dark circles. Valued at $65, Dermstore has it on sale for $39. "Pur-lisse Pur-Eye Adore Quadra Benefit Eye Serum tackles crow's feet, fine lines, dark areas and puffiness with advanced peptides and innovative plant extracts. Soy protein and French marine plants bring 4 times the power to combat aging as an exclusive peptide complex, lotus lupine 5, wards off dark circles and puffy under eyes as it lifts and hydrates. With twice daily use your will begin to notice a brighter, more youthful-looking eye area." If you want to sign up for Boxycharm, you can do that right here! They never have coupons but they do release a couple more spoilers if you want to wait and see.